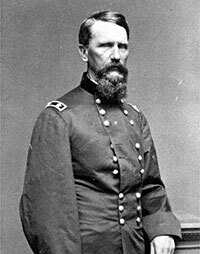 Francis P. Blair, Jr. was a Union general who served in Missouri and West. 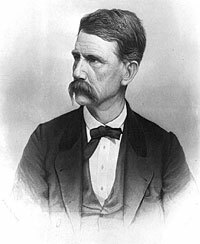 A Republican congressman from Missouri (1857-58, 1861, 1864) at the outset of the war, he organized pro-Union military units among German-Americans which were instrumental in keeping Missouri in Union. An early political backer of Edward Bates in 1860 and a military backer of John C. Frémont in 1861, he turned against Frémont’s military leadership in Missouri later in the year and was jailed. He was active in several campaigns in the West—including the battle of Chickasaw Bluffs and Sherman’s March to the Sea. 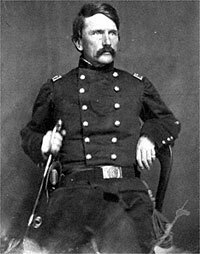 In his memoirs, Ulysses S. Grant wrote of Frank Blair in July 1861: “There was no man braver than he, nor was there any who obeyed all orders of his superior in rank with more unquestioning alacrity.”1 One of the most irascible members of an irascible family, Frank was a leader of a moderate faction of the Missouri Republican Party called the “Claybanks,” who feuded with another radical group called the “Charcoals,” much to President Lincoln’s consternation. General Frank Blair has resigned his seat to the House, and the President has revoked the acceptance of his military resignation. This is a stretch of power and construction that I do not like. Much censure will fall on the President for this act, and it will have additional edge from the violent and injudicious speech of General Blair denouncing in unmeasured terms Mr. Chase. He also assails the appointees of Chase, and his general policy touching agent’s permits in the valley of the Mississippi as vicious and corrupt. I have an unfavorable opinion of the Treasury management there and on the coast, and there are some things in the conduct of Chase himself that I disapprove. The Blairs, whose family owned slaves, represented the conservative wing of the Republican Party on emancipation. 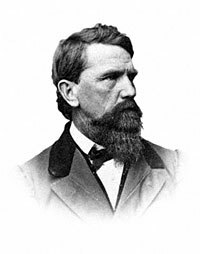 Frank Blair was the party’s “chief theoretician” for colonization of former slaves, according to historian Richard Sewell7 and the “best, most passionate, and most industrious proponent of a plan of gradual emancipation,” according to historian Allan Nevins.8 In Missouri, Blair had to battle the party’s more radical wing on slavery issues. 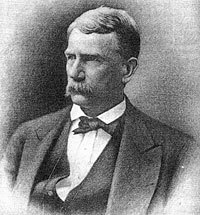 Before the war, he and brother Montgomery were law partners in St. Louis and he served as Attorney General for the New Mexico Territory. He ran unsuccessfully for Vice President on the Democratic ticket with Horatio Seymour in 1868 and served briefly in the Senate from Missouri in 1871. His strongly anti-Reconstruction views made him politically controversial in Missouri and across the country and doomed the family’s long-held dream to elect him President. William E. Parrish, Frank Blair: Lincoln’s Conservative, p. 174. Parrish, Frank Blair: Lincoln’s Conservative, p. 115. Parrish, Frank Blair: Lincoln’s Conservative, p. 138. Michael Burlingame and John R. Turner Ettlinger, editors, Inside Lincoln’s White House: The Complete Civil War Diary of John Hay, p. 123 (Diary entry of December 9, 1863). Roy M. Basler, editor, Collected Works of Abraham Lincoln, Volume VI, p. 555. Gideon Welles, Diary of Gideon Welles, Volume II, p. 20. Richard H. Sewell, Ballots for Freedom, p. 326. Allan Nevins, The Emergence of Lincoln, Volume II, p. 163.